Back in January, we put together a list of some of the hottest blockchain startups to watch in 2018. In this post, we want to take a look at the some of the top blockchain venture capital firms. 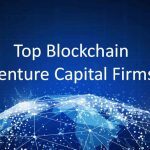 The folks at CryptoFundResearch did an excellent job in creating the list of the top 50 blockchain venture capital (VC) firms. What are the top venture capital firms investing in blockchain companies and startups? This is not as simple of a question as it may first appear. What exactly is a “top” blockchain VC? Total blockchain assets? Total number of blockchain investments? How long or how actively they’ve been investing in blockchain companies? There’s no obvious way to rank the top venture investors in blockchain. So they included all of the above components in theirrankings. The short answer is these are the 50 most important and influential venture capital companies investing in blockchain and cryptocurrency companies. They are ranked according to four key criteria: value of total blockchain investments, total number of blockchain investments, length of blockchain investment experience, and level of investment activity in the last 12 months. Below is a list of the first ten blockchain venture capital firms. You can see the rest of the list and other details, including methodology, charts and graphs by visiting here. 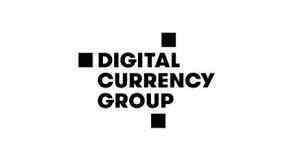 Description: Digital Currency Group is clearly the most influential venture capital investor in the blockchain space. Based in New York, Digital Currency Group has made more investments in blockchain companies, and for more money, than any other investor. Not only was Digital Currency Group one of the first blockchain investors, they have made more blockchain investments in the last 12 months (15) than all but 9 other VCs have made over any period. Top Blockchain Investments: Basis, Ledger, Circle, Blockchain Inc. Description: Pantera barely edged out Blockchain Capital for the number two spot on our list. 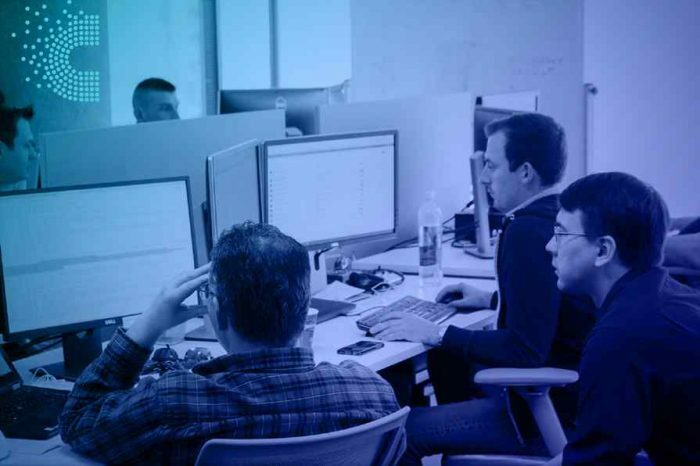 Based in Menlo Park where the Bay Area’s tech and VC worlds collide, Pantera ranked in the top 10 in all four criteria we looked at for our rankings. 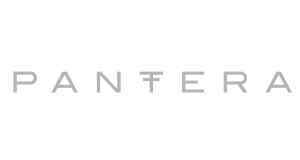 Unlike most of the pure venture capital funds on this list, Pantera is a hybrid hedge fund / venture fund making seed investments in blockchain companies as well as investing in tokens and cryptocurrencies. 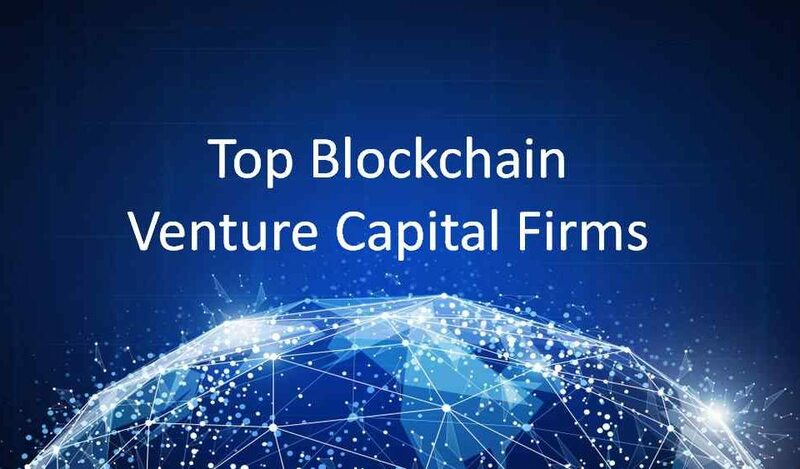 Description: Blockchain Capital came in a close third on our rankings of the top venture capital investors in blockchain. 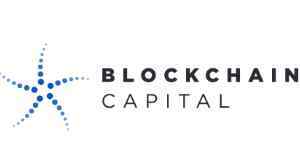 Like Digital Currency Group and Pantera Capital, Blockchain Capital is a pure blockchain venture fund. Their first investment in blockchain came in late 2013 with their Series A investment in BTCC, the world’s oldest Bitcoin trading platform, and since that time has made more blockchain investments than anyone but Digital Currecncy Group. Blockchain Capital is based in San Francisco, CA. 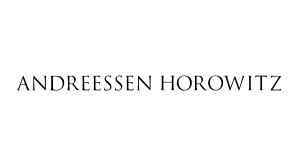 Description: Andreessen Horowitz, also know as a16z, is one of the world’s largest venture capital firms, and the first VC on our list to not invest almost exclusively in blockchain and digital assets. In fact, digital assets make up only a fraction of a16z’s more than $4 billion in assets. Andreessen got their start in blockchain investing in 2013 with an angel investment in Ripple followed by early stage venture funding of Coinbase. Since then, they have made nearly a dozen other blockchain investments in companies like Basis, Harbor, and Chia Networks. Look for Andreessen to move even farther up this list with their recent announcement of their $300 million crypto-focused fund. 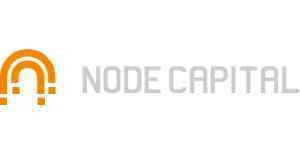 Description: Unlike other top venture funds on our list that primarily make seed and series A investments in blockchain companies, Node Capital primarily invests via initial coin offerings (ICOs). Node Capital is based in Beijing and has made most of its nearly two dozen blockchain investments in Chinese startups like Fengwo and ChinaUp.com. They have been the most active blockchain investor over the last 12 months. Node was co-founded by Jun Du, CEO of Cointime. Description: Boost VC is an artificial intelligence, blockchain, and crypto accelerator based in San Mateo, California. 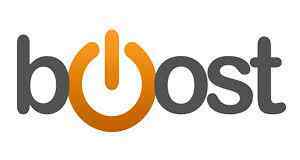 Boost began its foray into blockchain investments in 2014 with a seed round in Ripio. 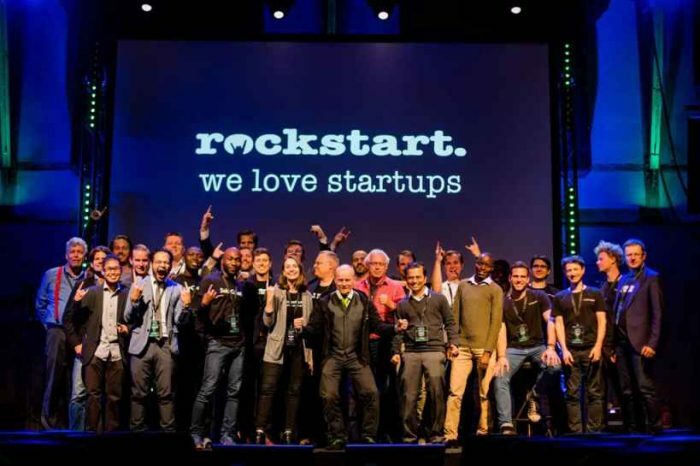 Since then, they have made more than 30 additional investments in crypto and blockchain including almost a dozen in the last 12 months, making them one of the world’s most active venture capital / accelerators in blockchain. 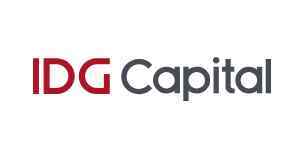 Description: IDG Capital is a private equity and venture capital fund based in New York. Like Boost VC, they invest in a variety of companies and not exclusively in blockchain and crypto assets. IDG got its start in blockchain with a Series A investment in Ripple in 2013, though they typically make later stage venture investments. IDG Capital made few other blockchain investments until 2018 when they made investments in Huoxing 24, Circle, imToken, and Mars Finance in just the first five months of the year. In addition to their main New York office, IDG has a satellite office in Bangalore, India. 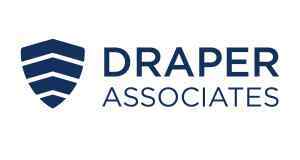 Description: Draper Associates is based in San Mateo, CA and led by legendary venture investor Tim Draper. Draper makes early stage venture investments in a variety of technology, manufacturing, and healthcare companies including blockchain companies and startups. 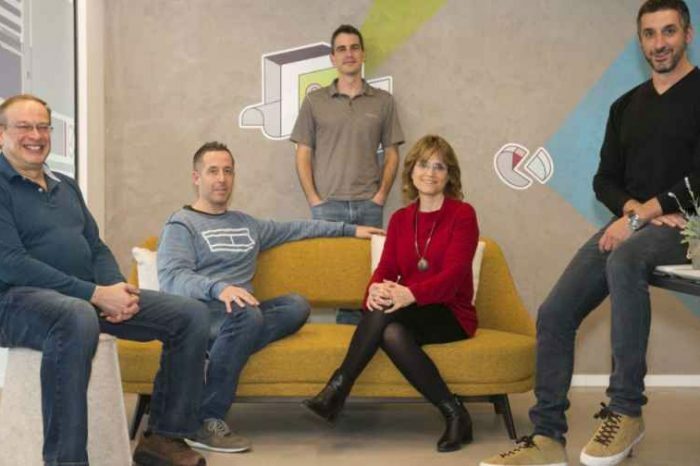 Their first investment in blockchain came with a 2014 seed investment in Augmate, an IoT and wearables company focused on enterprise. 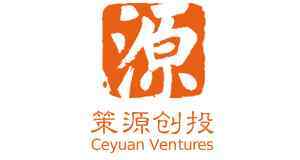 Description: Ceyuan Ventures is an early stage VC based in Beijing, China, with an additional office in Hong Kong. They primarily invest in technology companies and have made a half dozen significant blockchain investments in companies like Basis, Mars Finance and Trip.io. Their first blockchain investment came in 2014, and, after making no new blockchain investments in 2016 and 2017, made four in the first half of 2018. 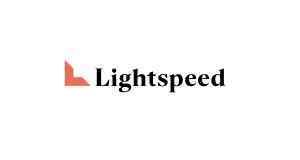 Description: Lightspeed is a global venture capital firm based in Menlo Park with six additional offices including in Israel, China, and India. They primarily invest in consumer and enterprise sectors and have also made several investments in blockchain companies like Basis and Ripple. They are also made an early investment in BTC China via LIghtspeed China Partners. Seven blockchain companies have received funding from at least four of the top 50 VCs on our list, though not always in the same funding round. The top 50 blockchain venture capital firms have been steadily increasing the frequency of their investments since 2011. The number of blockchain rounds completed by the top 50 more than doubled between 2016 and 2017 and is expected to double from 2017 levels in 2018. The increase in investment in blockchain by leading venture firms is even more pronounced when looking at total deal value. Collectively, they invested almost half a billion in 2017 and that amount could triple to nearly $1.5 billion in 2018. The top 50 VCs typically invested in blockchain companies through seed and early stage funding rounds. ICOs also made up a significant portion of investments, though greater regulatory scrutiny of ICOs may lead to declining emphasis on using coins for equity funding. 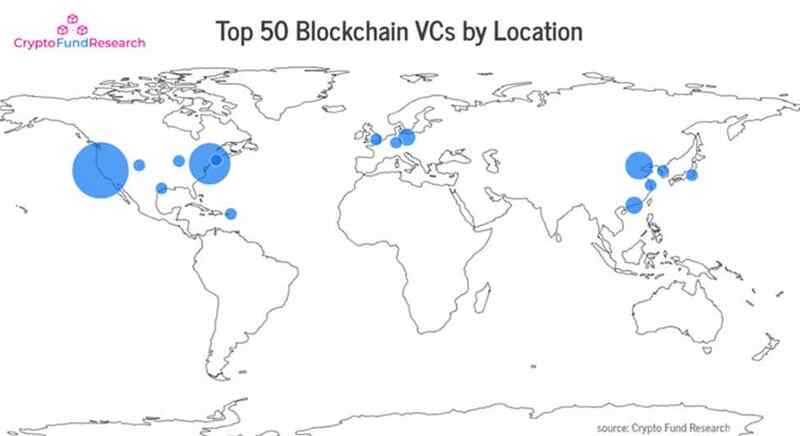 35 of the 50 leading venture capital firms investing in blockchain and crypto are based in the United States. Eight are based in Hong Kong/China and three in Germany. This study began by analyzing over 3,000 venture investments in blockchain companies. The data was filtered down to 127 venture capital firms that have made three or more investments in blockchain companies since 2011. 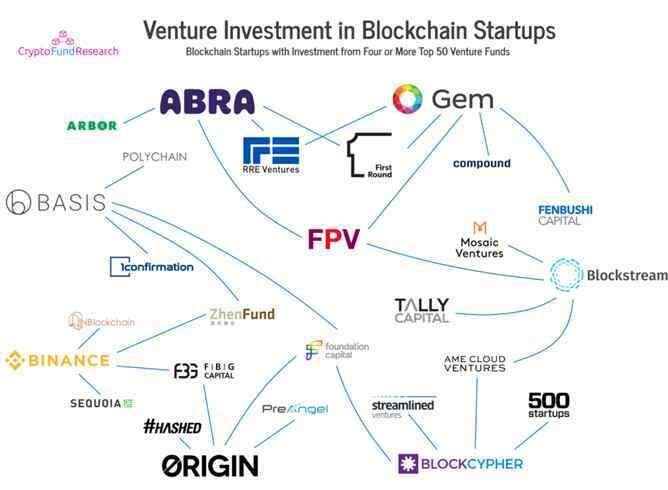 Data comes from an analysis of several thousand venture investments in blockchain companies from Crunchbase as well as data in Crypto Fund Research’s list of crypto funds. Of the several hundred VCs that have invested in blockchain, 127 have made three or more investments and only these were selected for potential inclusion in their rankings. Each of the 127 VCs was then ranked in ascending order in each of these four categories. Total scoring was based on the sum of these four ranks. The ranking of top 50 venture capital firms investing in blockchain startups and companies consists of the 50 of these 127 with the best combined scores in these four categories.